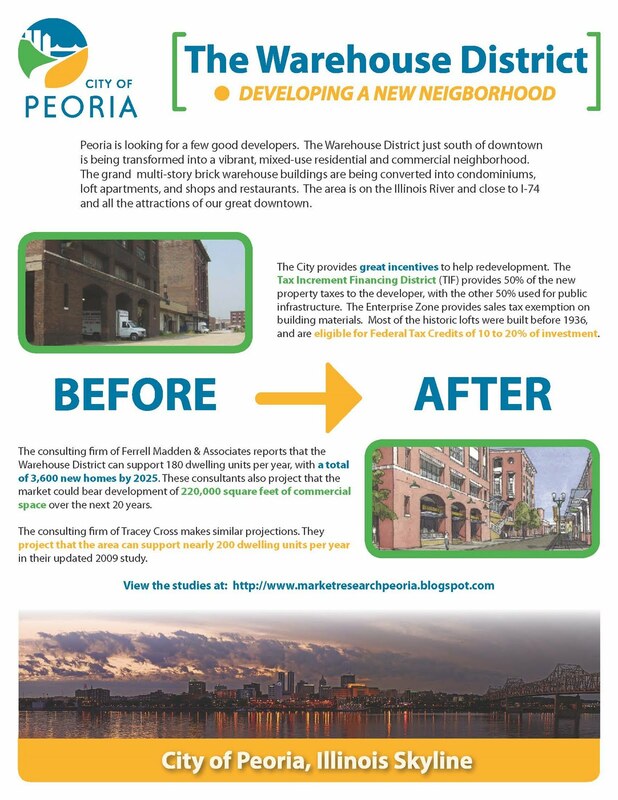 The Southtown Tax Increment Financing District (TIF) in Peoria is one of the oldest TIF's in the State of Illinois. It was part of massive urban renewal effort the area just south of downtown. The redevelopment was controversial, and took many years, but it did result in substantial new development for Peoria, creating tax base and jobs. The percentages below illustrate the growth in fair market value, comparing School District 150, the City of Peoria, and the Southtown TIF from 1978 when theTIF was created until 2006, the latest assessment dates. In addition, there are two recent developments underway in Southtown - the new Long Term Acute Health Care Center, and the Main Street Medical Clinic. 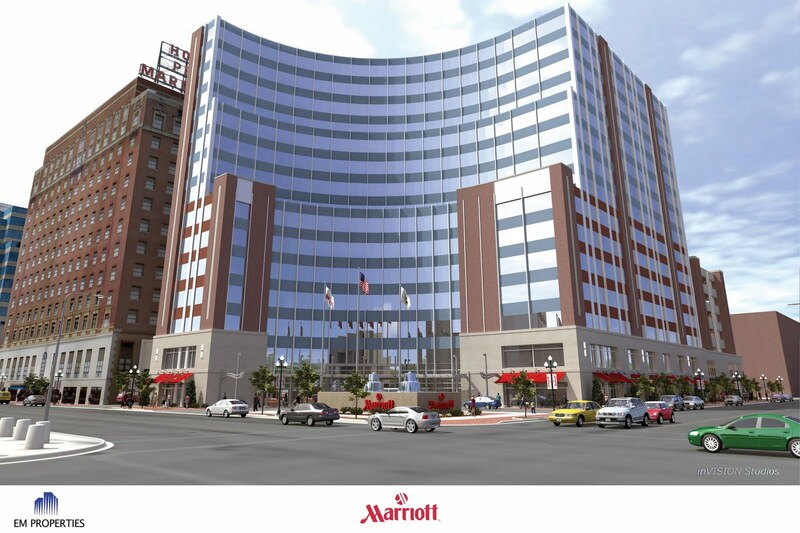 These two large developments will add more value and jobs to the TIF. The TIF will end in 2013. From that date forward, taxes paid on the new development will go local taxing bodies. The TIF certainly increased the value of theTIF area. Growth in District 150 is lower than the City because substantial amounts of new development that are part of the City are north of the District 150 boundary. This points out the need for District 150 to support redevelopment of older neighborhoods - and the most effective method to incent redevelopment in older neighborhoods is with TIF. This TIF did create some housing with children. The City used TIF funds to help acquire land and to provide $2,500,000 for the Valeska Hinton School. The City of Peoria has developed nine TIF Districts. The TIFs help these areas redevelop, and the value of these areas has gone up each year since the TIFs began. The redeveloped areas create jobs and vitality in the districts. The Southtown TIF was created in November 1978, expires in 2013 and covers 303 acres. It is bounded byKumpf Boulevard, Main Street, Martin Luther King, Jr. Drive, MacArthur Highway and Jefferson Street. The main objectives are elimination of blight, total clearance and development of residential, office, industrial, institutional and public facilities. In 2006, the City entered into a contract with Spring Grove Construction Ltd., for Phase III, the final phase, of the Spring Grove residential subdivision. This Phase will consist of construction of 8 new homes with market value of between $130,000 and $250,000. This subdivision was a part of the original plan and was started in 1995. The UICOMP, Nursing and Public Health (Peoria Campus) is also located in the City’s Southtown TIF and enrolls approximately 50 students. In December of 2005, a group of area doctors signed a 50-year lease with the UICOMP to operate a physician's building on the medical school campus. Approximately 40 doctors will invest more than $15 million for a four- or five-story medical office on more than five acres at the UICOMP. 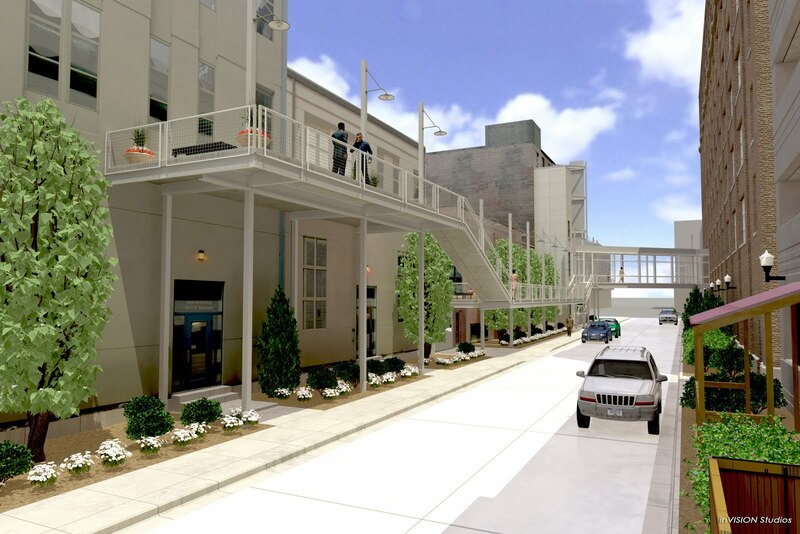 The City assisted the development by allocating $4 million in TIF funds for construction of a parking deck. As part of the plan for continued growth, the new Peoria Cancer Research Center will be constructed adjacent to the UICOMP main campus. The building will have two stories and provide parking for doctors and patients. 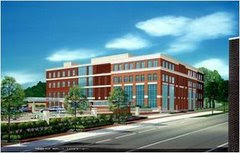 The new facility will have 20,000 square feet of office and laboratory space with 10,000 square feet on each floor. There will be laboratory and office space for one professor, four associate professors and four assistant professionals as well as space for other research. The new addition to the medical campus will unite patient care, basic science and the research that bridges them. The center will encourage stronger ties among staff in different fields and disciplines by maintaining the college's traditional balance between research and clinical activities. The development of the $12 millionCancer Research Center continues the City’s role as hosting one of Illinois’ major medical complexes. The City entered into a Purchase Option with Cullinan Medical I for their purchase of a 6 acre City-owned site in the Southtown TIF, which will be utilized for construction of a Long Term Acute Care Center with anticipated private investment of approximately $20 million. This project will bring 100 diverse new jobs to Southtown. Other businesses and services located in the TIF are Caterpillar, CBT, CityScape Apartments, Cranes & Equipment, First Capital Bank, HCH Administration, IL Assn. of Neurosurgery, Renal Care Center, Spring Grove Residential, Staybridge Suites, Superior Consolidated, Technicraft, U. of I. College of Medicine, Valley Park Shopping Center, Valeska Hinton School, WW Grainger, Orthopedic Institute, Plattner Orthopedic, Kirby Risk and American Red Cross, Great Plains Sports Medicine and Institute of Physical and Medical Rehabilitation. The Midtown Plaza TIF was created in March 1999, expires in 2022 and covers 9.5 acres. It is located on Knoxville Avenue between Nebraska Avenue and Richmond Avenue. The main objectives are elimination of blight and providing commercial business and service facilities. Utilizing proceeds from tax increment financing bonds, the City and the David Joseph Companies partnered to develop MidTown Plaza. This shopping center, anchored by a 65,000 square foot Cub Food Stores, was completed in 2002. 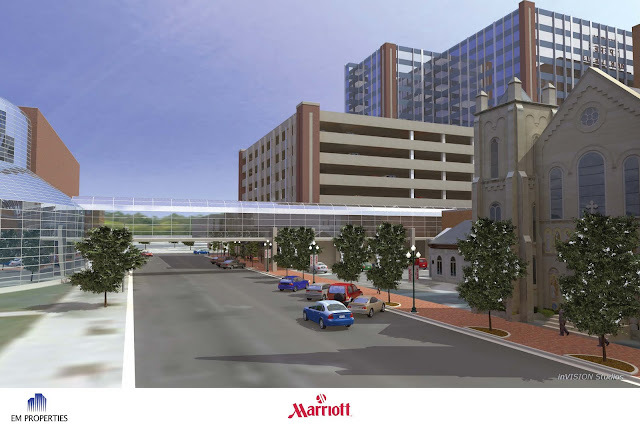 An additional 8,000 square feet of adjoining retail is also part of the MidTown development. The City coordinated the acquisition of 63 separate parcels to complete this $15 million project. It is now open and operational. A new restaurant has opened on one of MidTown’s outlots. Future developments include additional commercial development. 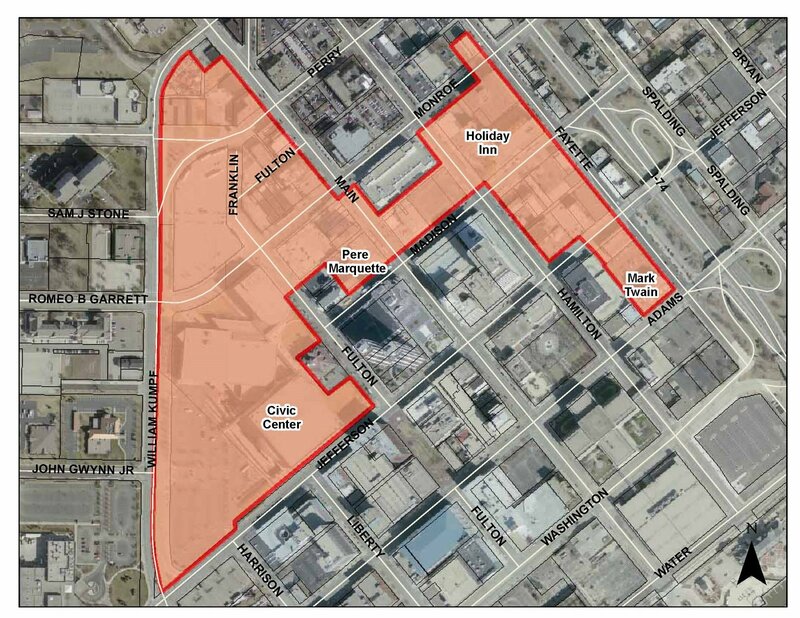 The Central Business District TIF was created in December 1986, expires in 2021 and covers 92 acres. It is located in the Central Business District and Downtown portions of the Riverfront. The main objectives are eliminating blight, revitaling the Downtown/Riverfront and providing parking and public improvements. Demolition was completed on the former Sears building which will be home to $120 million PRM building and Caterpillar Visitor’s Center. This private investment will be assisted with $3.7 million in public dollars, which have been utilized for property acquisition and infrastructure improvements. An upscale restaurant called the Riverstation opened in the Central Business District. The total project for the River Station was $600,000, with the City providing a loan for $150,000. 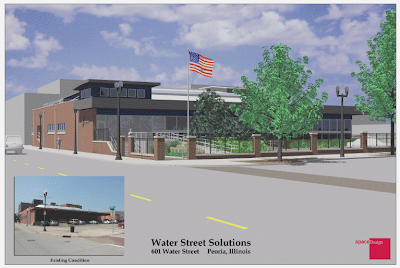 The City entered into a contract with Randolph and Associates for design of Water Street and infrastructure improvements in conjunction with the Museum block. The Stadium TIF was created in December 2000, expires in 2023 and covers 7.5 acres. It is bounded by Jefferson Street, Oak Street, Adams Street and rear property lines of properties on the southwest side of Oak Street. The main objectives are elimination of blight and development of a stadium. In the fall of 2000, the City Council approved a development agreement for the construction of a new minor league baseball stadium, to be located in the downtown area of the City, adjacent to the Riverfront and Southtown Redevelopment areas. This private/public project resulted in the construction of a professional minor league stadium providing many of the amenities of a major league stadium. Features include approximately 6,500 permanent seats and approximately 1,000 lawn berm seats, as well as sixteen luxury suites in the upper level, covered concourse with concession stands and restrooms, video board, and a playground area in the left field area. Opening day at O’Brien Field was May 24, 2002. The Northside Riverfront TIF was created in March 1995, expires in 2018 and covers 105 acres. It is located on I-74 to Spring Street, between Adams and the Illinois River. The main objectives are improve the overall environment and rehabilitate and expand the PMP Fermentation Plant. This TIF is anchored by PMP Fermentation. This project consists of two plant buildings. Toward the end of 2006 one of their plant buildings closed due to competition within the global market. They are currently reviewing options for use of the empty building. The Campustown TIF was created in December 1986, expires in 2009 and covers 13 acres. 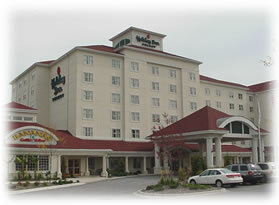 It is located on 13 acres beginning at the corner of Main Street andUniversity Street. The main objectives are to eliminate blight and provide commercial and support facilities in close proximity to Bradley University. Businesses and services located in the TIF are Blockbuster Videos, Bard Optical, Campustown Liquors, Check Into Cash, Supreme Nails, Panda House, Bellacinos, The Hair Gallery Inc., Subway Sandwich Shop, H&R Block, Cookies by Design, Co-op Records, Velvet Freeze, LaBamba Restaurant, Starbucks Coffeehouse and Steak & Fries. The Northside Business Park TIF was created in December 2000, expires in 2023 and covers 214 acres. It is generally bounded by Jefferson Street, Spring Street, the Illinois River and Park Avenue. 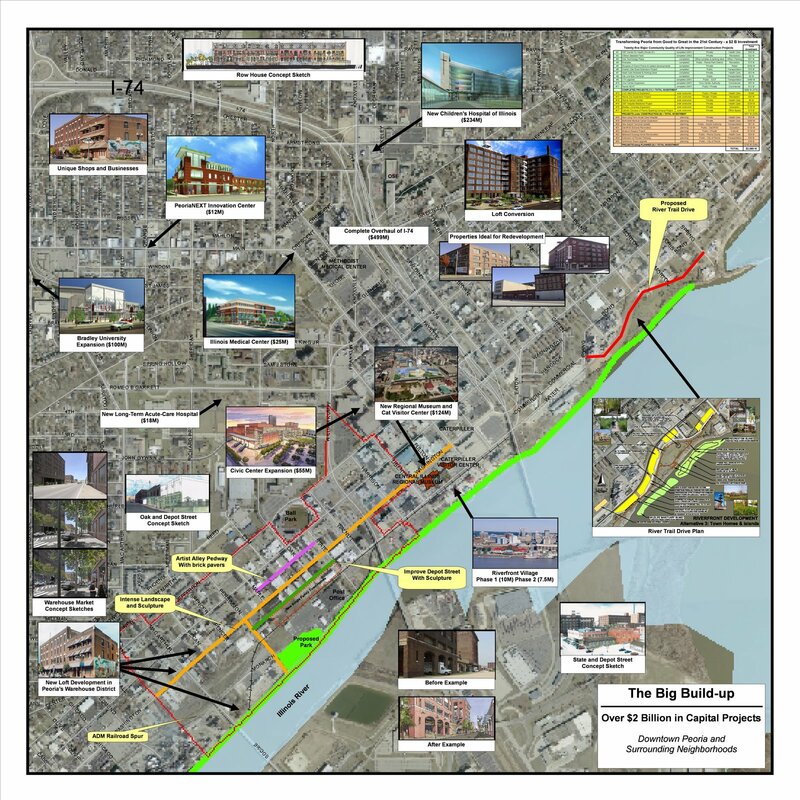 The main objectives are elimination of blight, expansion of O’Brien Steel, installation of an S-Curve, elimination of Adams Street Row through the Project Area and establishing two-way traffic on Jefferson Streetthrough the Project Area plus establishment of a delineation between industrial and residential uses and provision of commercial/retail opportunities. In 1999, the City developed the Northside Business Park TIF. O’Brien Steel purchased $1.6 million in processing equipment to expand the processing capabilities. Their shipping area was expanded toWisconsin during 2006. They continue to hire employees with 175 employees reported at the end of 2007, an increase of 45 jobs over the previous year. 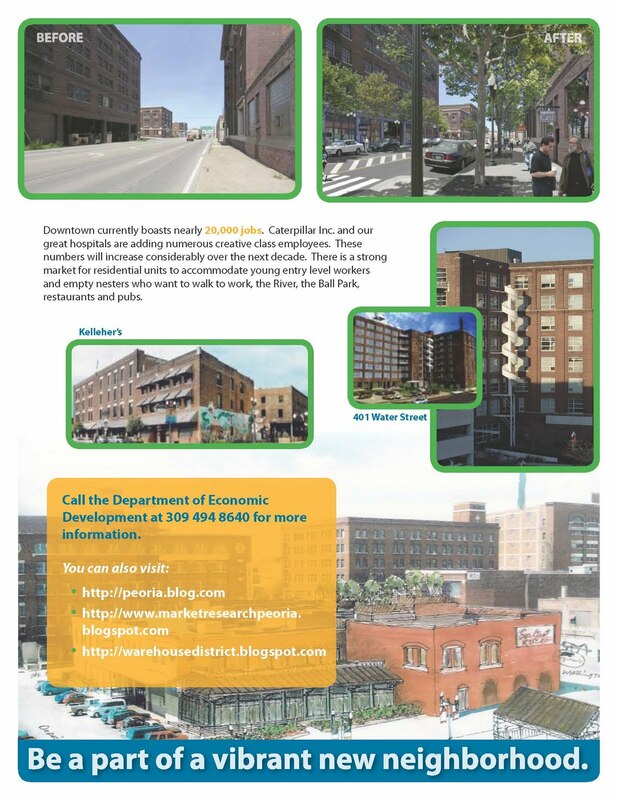 In June of 2007, the City looked at ways to redevelop the Central and Southern areas of the City and determined that these areas would best be served by creation of two Tax Increment Financing Districts (TIF), the Eagleview and Warehouse District TIFs. These TIFs were approved by the City Council in June of 2007 and have already resulted significant redevelopment with the signing of six new development agreements in the oldest areas of the City. The Warehouse District south of downtown and is a mixed area of old industrial lofts, one story industrial buildings, and vacant lots. This area could become a vibrant mixed-use residential and commercial neighborhood. The old industrial lofts could become condominiums similar to the successful development of the buildings on Water Street. The street level space can become viable commercial and retail space. Artists and artisans have already located in this area. The Eagle View TIF encompasses over 544 acres and is bound by the Illinois River, I-474, Adams Street and is adjacent to a large number of residential units. The plan proposes the Eagle View Biotech Park creating a large high tech industrial park near Darst and Clark north of I-474. The plan also calls for a large conservation area along the Illinois River, the area is known for viewing eagles as well as for fishing and hiking. Click on the line below to see the success of TIF in Peoria. The cities of Tinley Park, East Peoria, and Normal have developed high quality conference centers and hotels which draw business from Peoria. Springfield’s attractiveness has been greatly enhanced by the Lincoln Museum. These improved competitors all received substantial assistance from government, and will draw business from downtown Peoria. 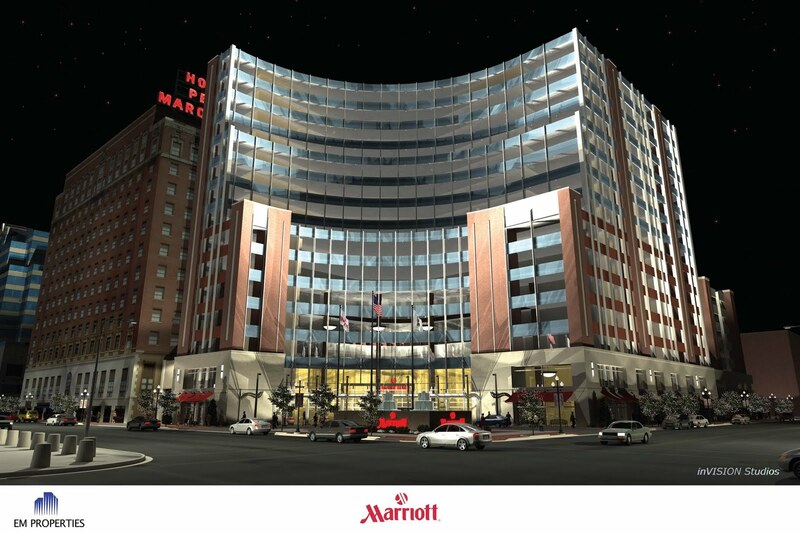 Our downtown hotels and other hospitality industry business struggle to compete with these quality new developments. The City can choose to compete or not to compete. The proposed Hospitality Improvement Zone would assist existing and new businesses invest, improve, and expand. City Council has directed staff to present the potential HIZ TIF to our sister governments, and request their input and direction. We also ask our citizens to send us their recommendations. Thank you for your consideration. We appreciate your viewpoint.